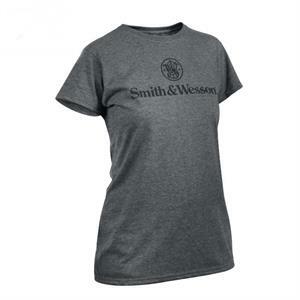 An officially licensed Smith & Wesson Women's T-Shirt that features "Smith & Wesson" across the front with the S&W logo. 50% Cotton and 50% Polyester. Available in Sizes S to 2XL.